Why I Quit Building Backlinks Forever? In the past 8-9 years in SEO, I have built a truly crazy number of backlinks and PBN type sites for those backlinks. All for the purpose of getting TRAFFIC from the Google SERP. Targeted traffic is all we SEOs care about right? So I naively believed that backlinks and PBNs were pretty much the ONLY way to rank and get traffic from Google. You may still feel the same way today. But you and I both know the massive drawbacks with PBN-based SEO for Google. But then in early 2017, I stumbled across a very DIFFERENT way of doing SEO, quite by accident when working on a technique for getting virtually any site or page indexed instantly, regardless of how long it had been out of the Google Index, or never in it in the first place (assuming there was no pre-existing penalty against it). To cut a long research story short, we discovered that sites that we indexed for testing purposes were getting longtail organic traffic from Google. And it turns out that virtually none of us understood just how deep or rich the new AND old longtail is. In short, it is far far beyond MASSIVE. MASSIVE to the point where it is probably impossible for Google to even add a fraction of those ever growing new terms to their Google Keyword Planner. I’ll get to some concrete examples of new + old longtail terms below shortly. In fact, most keyword tools are extremely poor at analyzing the gigantic new + old longtail – it’s just way too much data, even for Google probably. And it applies in EVERY NICHE imaginable. Why? Simply because that’s how many people NATURALLY search for stuff online – with a mad number of longtail variations. And hardly any of those longtail variations have ANY SEO competition whatsoever. That means that instant ranking and instant traffic is very achievable, if you have good expired domains as a base – see proof below across a bunch of different niches. And CUMULATIVELY, this no-SEO-competition traffic available in the longtail probably far exceeds the traffic that the high ranking sites get for vanity terms that are pretty difficult i.e. expensive to get and keep. Viperchill touched on this alternative longtail approach to SEO in this excellent post here (I love that blog). BUT some SEOs just cannot handle the mindshift required to use this different approach – they prefer to stick with the PBN ‘arms race’ and wait 6 months or more for Google SERP traction, as I have seen first hand. What about some examples of these types of new + old longtail terms? The business is located in the suburb of Doral and the county is Miami-Dade County. That MATTERS hugely because people searching for services like this DO use a lot of zip code, suburb, county, state and state abbreviation terms in their longtail searches. And I know from extensive testing and research back in 2017 that people NATURALLY use these kinds of terms when searching for local services. ‘Old school’ SEO targets a few terms in a niche, Monster Truck SEO targets tens of thousands of terms in a niche. And it’s a similar pattern in virtually EVERY NICHE ONLINE – people NATURALLY use longtail terms to search for things and old-school ‘dinosaur’ SEOs (I used to be one) are ignoring this goldmine where you can rank instantly and see traffic immediately. Because nobody else is SEOing for these longtails! They mistakenly assume that there is no traffic there because their keyword tools told them that! Now imagine that out of the above 13,600 pages created in this particular niche, 100-200 bring you or your client traffic EVERY DAY. Would that traffic flow TRANSFORM your business or not? What are some examples of New Vs Old longtail terms? In pretty much every niche out there, people are using longtails constantly to find solutions. And we want to potentially access the ENTIRE breadth of search terms that people are using in our niche/s right? That means using BOTH the new and old longtail, something my Monster Truck SEO software tools were built specifically to do. There are at least 10,000+ longtail term variations that people do constantly use in virtually every niche. SEO targets tens of thousands of terms in a niche. Starting to see the power of the cumulative longtail for massive traffic generation WITHOUT backlinks or PBNs? new pages in my niche/s? That is where software automation comes in. Obviously to create thousands and thousands of index-worthy new pages manually would be impossible. 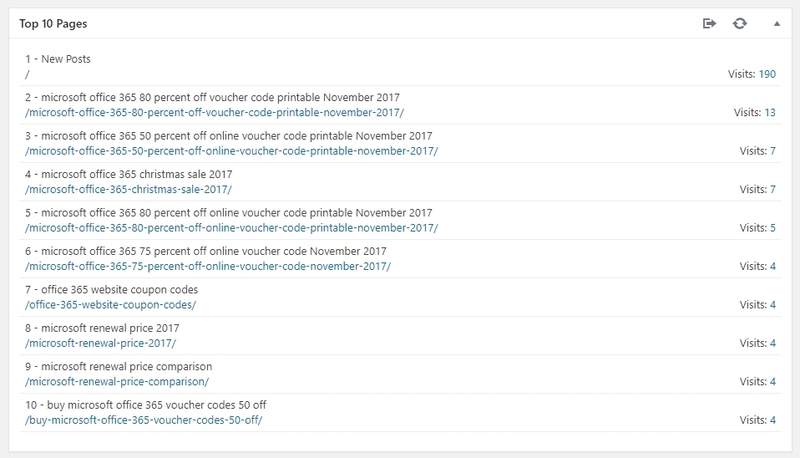 But the exception to the ‘Google hates duplicate content’ rule is with embedded YouTube videos where Google earns money from ads shown on those videos. Once your keyword batch is entered, such as from the ‘Miami movers’ list above, created by a different software tool of mine, then this tool publishes new auto-generated posts at the rate of about 100 per day, so as to not burn that domain with Google. Indexing is natural and can take up to 7-14 days, unless you use the Google Mobile Tester to index individual inner pages to check on an expired domain’s instant ranking power. Not all posts get indexed but the percentage is pretty high and a site:domain.com daily check in Google can give you a quick update on indexing progress e.g. But what do I do with the traffic from these bulk pages Terry? question is what to do with them. Let’s look at a few options because these software-generated pages in your niche will be horrible for conversions. 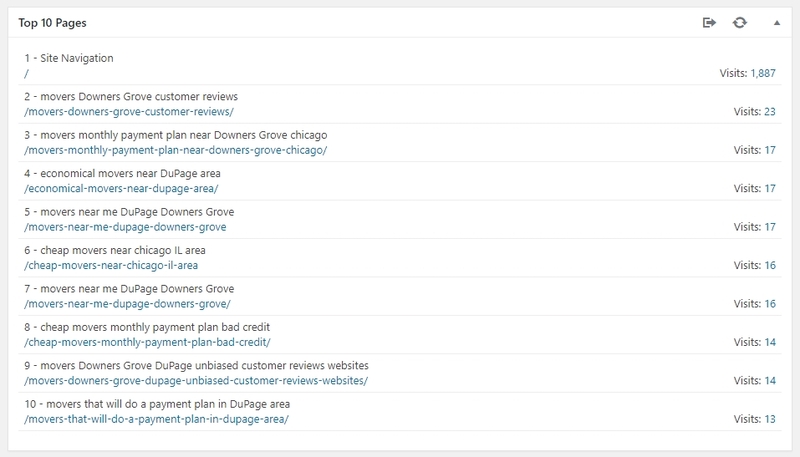 When we DO see some traffic coming to a Monster truck SEO test post/page, we can then completely rework that inner page on the expired domain for conversion optimization e.g. Build out great, relevant content, ideally with some kind of optin lead magnet for listbuilding. Offer a useful article, tool or service DIRECTLY addressing that search term, for instance, someone searching e.g. ‘bluehost vs hostgator comparison for woo commerce online store’ will actually want to see a useful comparo and not just get redirected to a generic hosting homepage. In short though, notice how we are ONLY building good content on a page AFTER we have confirmed that we CAN rank for it and we ARE getting ACTUAL traffic. That’s the OPPOSITE of normal content marketing’ practice or even SEO where we create content and then HOPE that it will work in a niche or with Google (after linkbuilding). I like this method a lot but it has drawbacks. 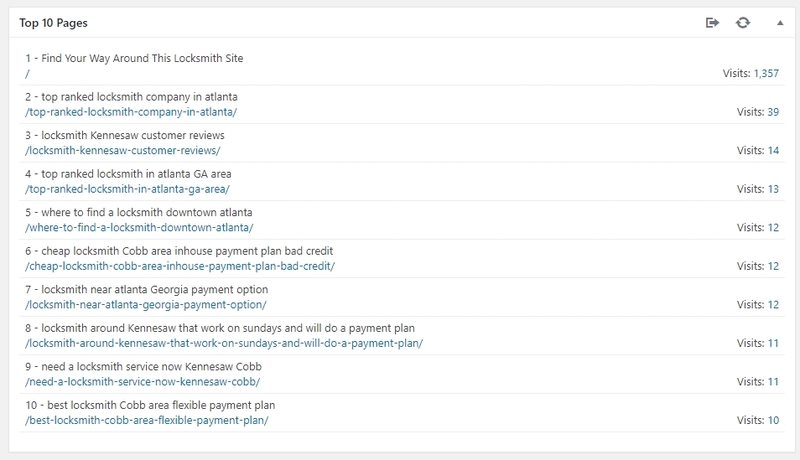 Using the Monster Truck SEO platform tools, create a load of test pages in your niche, ideally across SEVERAL expired domains that you own and now run WordPress on (though HTML is fine too). Make sure that traffic tracking is set up on each of those using something like Piwik, WP Statistics or Statcounter (not Google Analytics). When you see MTS test pages getting traffic from Google, they must now be indexed and ranking for new/old longtail terms, 301 them to your target page/s on your Money Site. 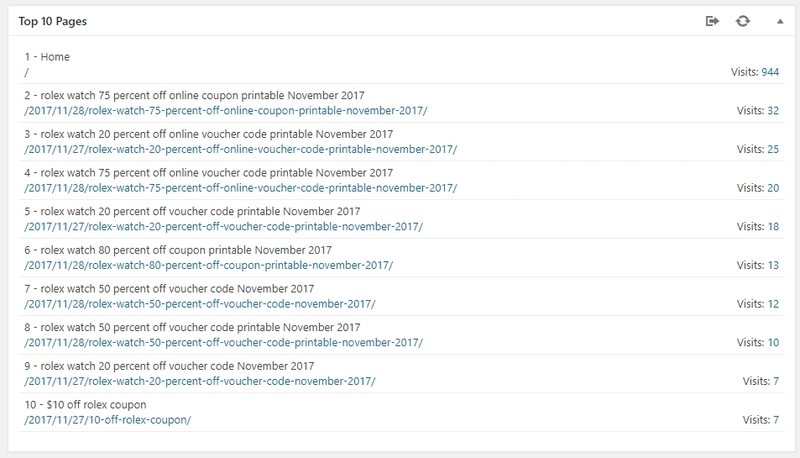 Anyone searching on Google for these specific terms will see the MTS expired domain post/page details for UP TO A MONTH (slow huh?) on the SERP and NOT the Money Site page that they are being redirected to – good for affiliate marketing as the 301 is your affiliate link. When Google eventually replaces the 301d page details on the SERP, make ANOTHER new MTS post/page and that should rank instantly again when it gets indexed. This is also particularly good for current month/current year type search terms e.g. 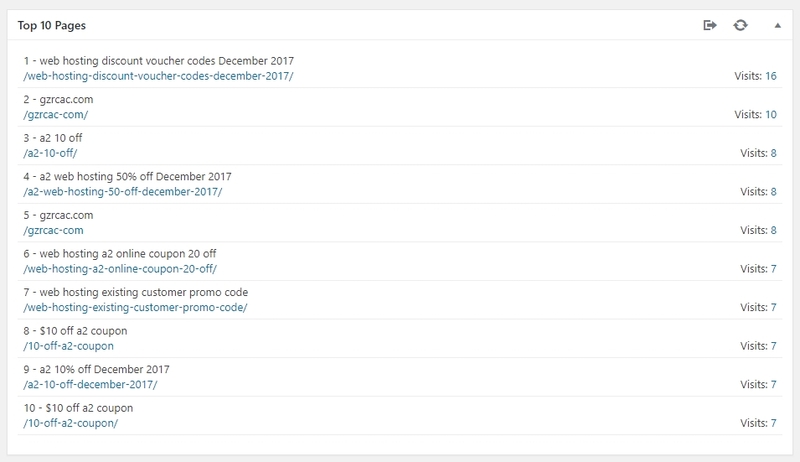 ‘wpx hosting promo code january 2018’ (IMPORTANT: people use longtail terms in EVERY single niche). BUT this couldn’t possibly be a viable, long-term strategy, could it? Of course it can though there are no guarantees of anything in SEO, business or life. And it definitely does work IF traffic generating pages have their content improved for people and not just lazily left as autogenerated posts – that was just a first stage to see which terms are getting traffic in a niche. In short, this is NOT a lazy SEOs strategy BUT it is MASSIVELY cheaper and faster than building links with PBNs and waiting waiting waiting for Google to honor those. And is this an expired domain-based strategy? Yes it is because you DO need some domain authority + page relevance to climb over other sites on the SERP that DO have domain authority but NOT specific page relevance. 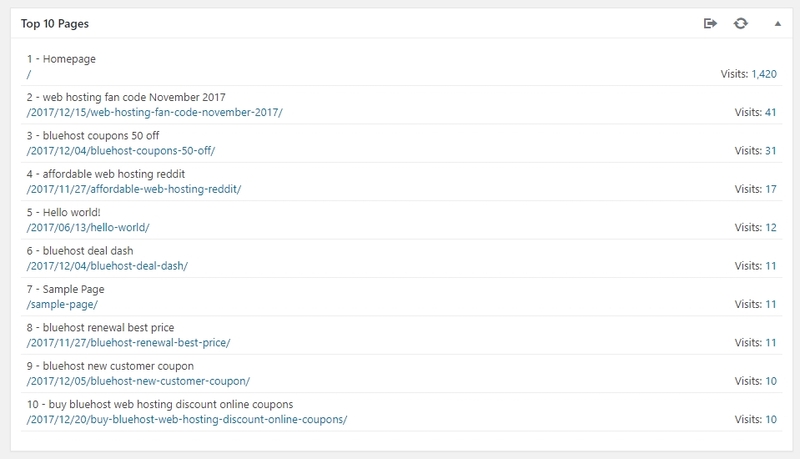 where we can get and keep traffic very very quickly and cheaply compared to old school SEO and expired domains are ESSENTIAL for this (we use a lot of .info domains bought at Namecheap for $1.99 each and they work very well for this strategy). In fact, once you scope out the best longtails in your particular niche, you can build pages specifically for those on your Money Site – just don’t do it on a massive scale on your precious Money Site. Does our new post/page have enough Domain Authority + SPECIFIC Query relevance to OUTRANK other pages with similar or higher Root Domain Authority WITHOUT much inner-page SPECIFIC Query relevance? This one equation lies at the heart of how Monster Truck SEO works and how instant rankings and traffic are possible in virtually ANY NICHE. But what languages/countries does the software support? Currently the Monster Truck SEO software platform supports the US, UK, Australia, Germany and Spain (we are working on Canada at the moment) – though many niches that are NOT country specific ARE covered by the software tools inside MTS. So that’s how my SEO strategy has shifted in late 2017/early 2018 and could work for you – IF you can let go of the ‘fatal attraction’ to PBNs and try something else which is way way cheaper than PBN-based SEO and works much faster. HOWEVER some SEOs cannot handle this mindshift required to use this different approach – they prefer to stick with the PBN ‘arms race’ and wait 6 months or more for Google SERP traction.